This hotel provides comfortable, spacious two-room suites with a private bedroom and separate living area, along with a host of in-room amenities. Guests will receive a free made-to-order breakfast along with complimentary appetizers and beverages at the nightly Evening Reception. 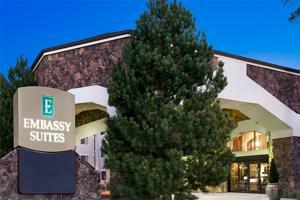 Whether skiing, visiting the Grand Canyon or stargazing, guests can enjoy Flagstaff's many attractions all year long. Located one mile north of the I-17/ I-40 Interchange just minutes from historic downtown and adjacent to Northern Arizona University.